Now that a date has been set for the legalization of recreational cannabis, the next steps for getting ready for cannabis sales in Calgary are underway. The federal government announced this week Oct. 17 is legalization day. Once city council approves the required bylaws for the new soon-to-be legal business of cannabis stores, those applications will be processed in the order they came in. The lead for Calgary's cannabis legalization project, Matt Zabloski, said getting the legalization date means council can take its final steps to allow for this kind of business to get started. Given the legalization date is later than earlier projected, the city believes it's in good shape to ensure stores are ready for their customers. "If there's ever an obstacle to stores opening, we didn't want to be that obstacle and so we've been working towards having the ability for stores to have their doors open on that first day," said Zabloski. There's plenty of interest in the cannabis business in Calgary. There are 241 applications for stores on file with the city. New Leaf Cannabis has made 18 of those applications. The company's chief administrative officer, Angus Taylor, said the later legalization date means it will delay its planned hiring fair until September. "We had originally planned on hiring the full complement of our staff early to mid-July, so that's probably the most material impact [of delayed legalization]," said Taylor. But getting more time to prepare for legalization means the company will have a greater ability to get more of its stores ready for opening day. He said the company has been planning construction on its stores for months — work that can only proceed once it gets the required approvals from city hall. 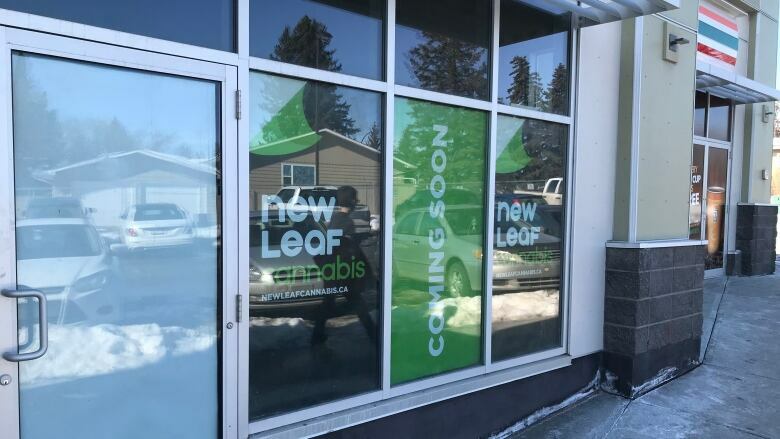 "New Leaf had really planned on having our full complement of stores probably towards the end of September so with these extra couple of weeks, we will certainly have every one of our stores open on legalization day," he said. Taylor said work is nearly complete on two concept stores it is setting up. Even though their applications aren't approved, he said they wanted to actually see a couple of test sites and test the computer systems that are required for cannabis stores. In addition to retail outlets, Albertans will be able to buy cannabis through an online store that the province is setting up. An official with the Alberta Gaming and Liquor Commission said Thursday contracts will soon be finalized with suppliers. The plan is to offer 300 cannabis products online which will be delivered to adult customers through the mail system, starting on Oct. 17.